Neoprene knee support with metallic bands with polycentric articulation. 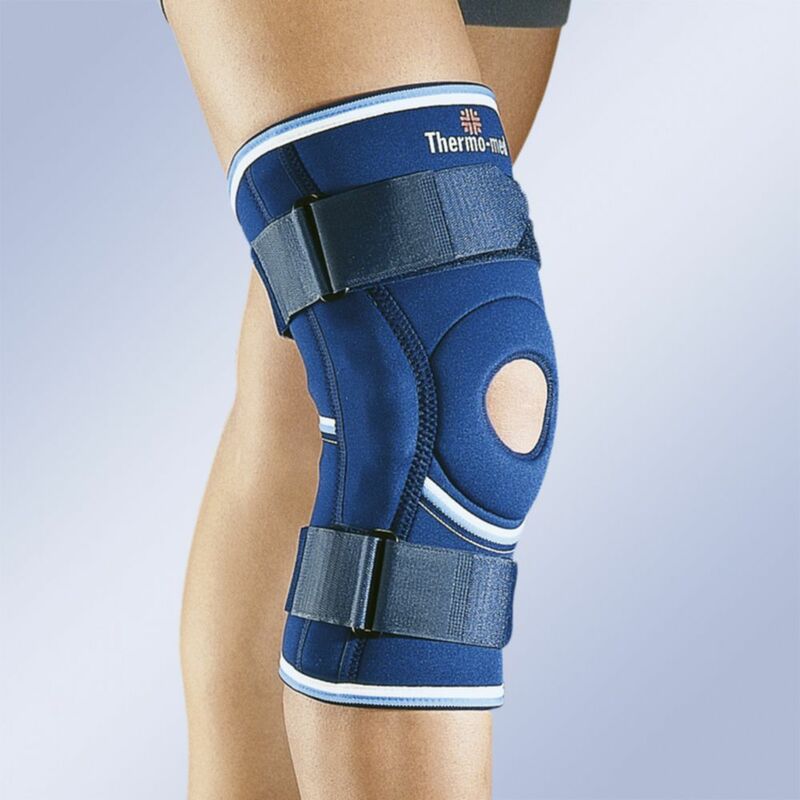 Neoprene knee support with metallic hinges with polycentric articulation and upper and lower adjustment straps. Interchangeable patellar cushion. Calf opening. Indications: Light contusions, Arthrosis and arthritis, Post-surgical treatments. Rehabilitation, Capsuloligamentous and medio-lateral instabilities, Thermo-compression, relief, protection, stability, permanent centring of the patella.